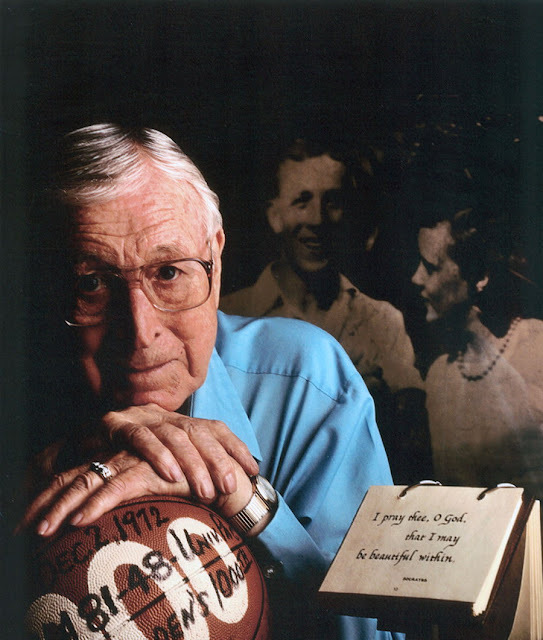 Legendary basketball coach John Wooden is without equal in the pantheon of great coaches. He was the first person to be inducted into the Basketball Hall of Fame both as a player and coach. ESPN ranks him as the greatest coach of all time, in any sport. His record of 10 national NCAA basketball championships will probably never be broken. Years ago I heard coach Wooden speak at a Realtors group in Sacramento. He explained the Pyramid of Success, the building blocks for success in basketball and life. He was gentle, humble, authentic. Wooden is at or near the top of most lists of strong leaders. What made Wooden so successful? To understand Wooden's success you should start with reading about his life and philosophy. The books below are the three best books on or by John Wooden.